Afraid of high notes? Open your voice to discovery! Whether you sing opera, classical, Broadway, jazz or pop, professional voice training is your ticket to success. Jocelyn Kasper takes a positive approach to teaching. She encourages self-expression and enhances self-esteem in her students-singers of all ages, skill levels, and styles. Do you like to impersonate other singers? Although that's part of the learning process, Jocelyn will help you discover your own unique sound. Voice is fun! We recommend that you fill out our easy online Enrollment Application to get the process started. Or feel free to give us a call: 615-383-8516. Once we've received your completed application, we can schedule an initial lesson. Understanding the essentials of good singing builds confidence. 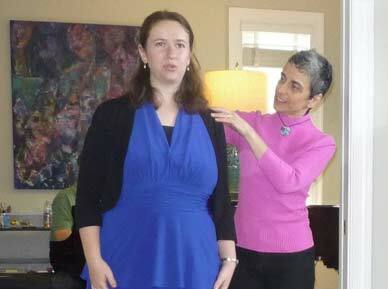 Jocelyn emphasizes healthy posture, proper breath management, and muscular control to improve vocal tone. As you begin to master the art of singing, performing becomes more effortless and fun. Feeling shy? That's perfectly normal. If you have the desire to sing, you also have the ability to make your dream a reality. 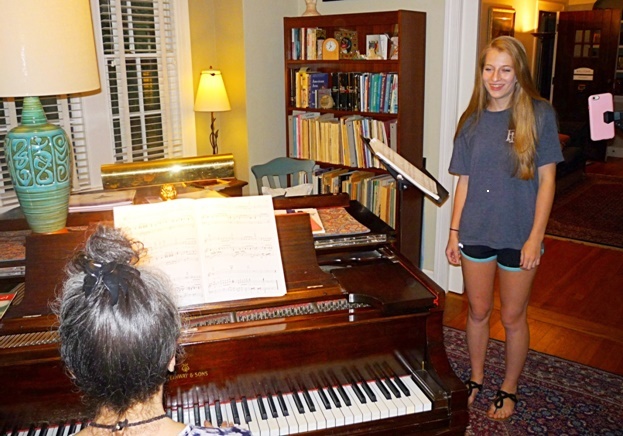 Voice Lessons are for professionals and serious amateurs who value taking their musical talent to the next level. Students are accepted to Kaspermusic Conservatory based on their level of commitment to studying music. They will be expected to enroll in regular weekly lessons and remain in the studio for at least one full academic school year, 30 weeks, September through April. Additional lessons may be scheduled for the summer months. Students are also welcome to take shared lessons with friends or family members. 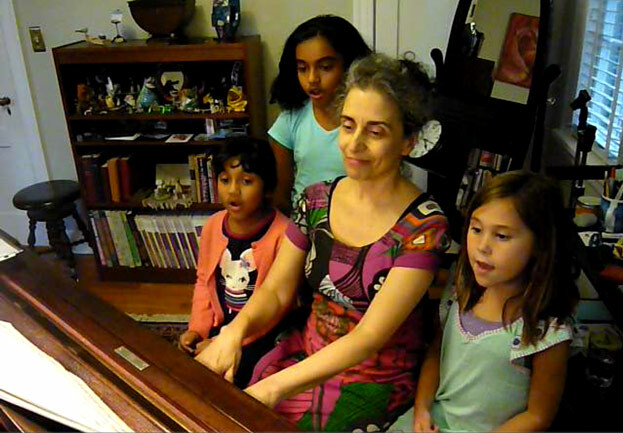 Small Group Voice Lessons* are for children and adults who love to sing. Ms. Kasper uses easy-to-follow instructions to help students understand singing through a process of fun, educational discovery. how to prepare for talent shows, auditions, church solos, etc. It was once believed that children needed to mature before their voices could be trained. Some people still believe this myth. While it is true that some skills take time to develop, good vocal habits can be taught at a young age. Training should be done with special care and attention to the needs of growing voices. At our conservatory, we love planting seeds of musical excellence and watching our talented sprouts grow. Beginning musical literacy is introduced, using solfeggio with C Major as a reference point: DO, RE, MI, FA, SOL, LA, TI, DO. Students learn to sing in tune and start to identify patterns in music. 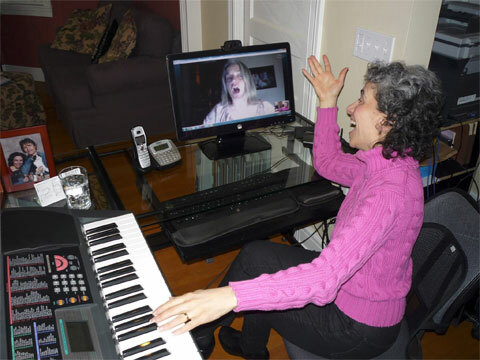 As singers advance, they are taught specific vocal techniques and introduced to more challenging exercises (vocalises) to strengthen their singing. All voice students are invited to perform for friends and family in an informal Voice Recital at the end of each semester. To get started, please fill out our easy online Enrollment Application. See additional information on Small Group Lessons below*. Jocelyn is also available for Skype and FaceTime lessons. Sometimes parents wonder how Small Group Lessons can be as effective or even more so than the private lessons they are familiar with from their own childhoods. While one-on-one instruction is appropriate in certain situations, learning with friends in a small group can result in surprisingly fast progress. Children tend to excel with peer learning, and music lessons are no exception. You'll see improved social and cognitive skills like listening, demonstrating, cooperation and good behavior. Healthy competition is fostered when students hear their peers accomplishing something they thought was impossible. Children learn to stay on task whether the spotlight is on them or not. They learn self-reliance and master practice skills throughout the lesson. Students are regularly challenged to surpass expectations and are encouraged to prepare for and participate in informal performances and fun, year-end recitals for family and friends. Parents appreciate and children flourish with our low-pressure approach. The keys to successful and rewarding music-making include: regular attendance, sufficient home practice, preparation of assignments, personal responsibility and mutual respect. Follow these steps consistently, and you and your child will reap the benefits of professional music training. I am a former voice student of Jocelyn Kasper. I can say without a doubt she helped me to become a more confident singer. I wholehearted recommend her to anyone. I sang some this morning for the first time since my last lesson and it was so relaxing, it is amazing what singing and music in general can do for one's psychology! Jolie really loved music class and absolutely loves to sing. I have enjoyed seeing olivia progress over the year. she's more confident, she sings from her diaphragm, proudly projecting! it's great to see her enthusiasm. i'm grateful for your instruction and guidance. Your relationship with Fiona is very special. She admires you very much. Thank you so much for all your support and understanding yesterday, it helped very much to just be able to talk to you about it. I've learned so much from you, not only about singing and music, but about life! Thank you from the bottom of my heart! Thank you for teaching me how to sing better! I've had so much fun during voice lessons. Cannot express my gratitude at having you in my life!! I enjoyed our summer lessons with Schubert. You opened up a treasure trove for me I never even knew existed. Jocelyn, you've taught me so much. You're a great teacher and I'm going to miss you. ... a wonderful voice lesson ... I feel I am learning so much ... about what singing really means! The Kaspers' educational aim is to inspire and develop each student's creative and musical expression. Their teaching philosophy can be summed up as a process of empowerment through the values of service, respect, and a love of learning. All text on this site is protected by U.S. and international copyright laws. Unauthorized use is prohibited.